Mecca is an unincorporated community in the southeast corner of the Coachella Valley in Riverside County. The largely agricultural desert community sits below sea level on the north shore of the Salton Sea. According to American Community Survey estimates, Mecca is home to approximately 8,860 residents, however, the population fluctuates throughout the year as agricultural workers travel to the community for work during growing seasons. The median household income in Mecca is $26,680 (as of 2016 estimates), much lower than the average of other cities and places in the Coachella Valley ($53,845). The overwhelming majority of the population in Mecca is Latino (99.9%), and 42% of the Latino residents are below the poverty line. The community has a high number of immigrants (52%) and limited-English speaking households (44%) when compared to other Coachella Valley communities, but a low rate of high school (28%) and college (1%) graduation. 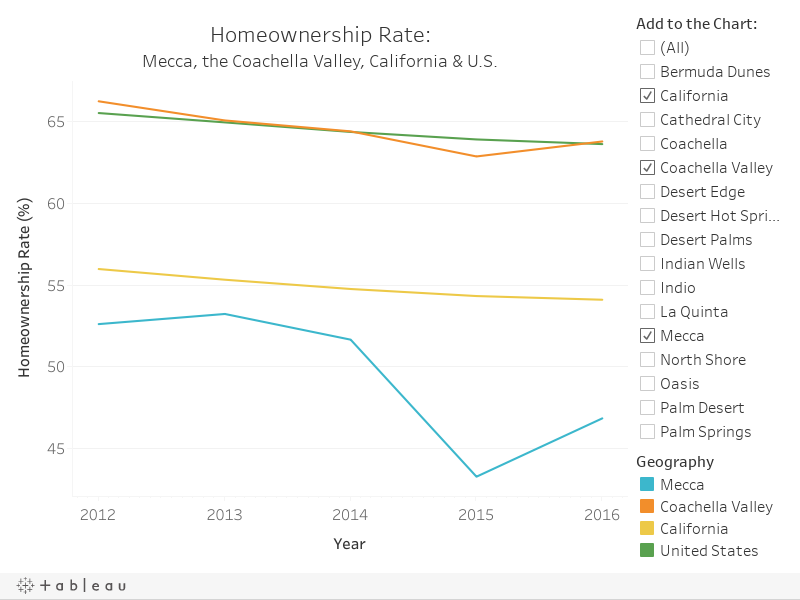 Explore the visualizations below to learn more about demography, housing, education, environment, health and social connectedness in Mecca and how the community compares to the state, county and other places in the Coachella Valley. Mecca has a population of 8,863. The community stretches across 7 square miles. The average household size in Mecca is 4.33 people, higher than the average household size in the Coachella Valley (2.67). 18% of the total 2,153 households in the community are made up of non-family households (individuals living alone or with non-relatives) -well below the average for the Coachella Valley. Mecca has the largest Latino population in the Coachella Valley. Latino residents make up 99.9% of Mecca's population, and 42% of the total Latino residents are below the poverty line, meaning they have a household income that is below the poverty level. Mecca has a median age of 24 years old, relatively young compared to the state median age (36) and the national median age (38). 50% of Mecca's population is younger than 24 years old, almost double the average across other cities and places in the Coachella Valley where 27% of the total population is below the age of 24. Just over 52% of Mecca's population are immigrants, which is well above average for the Coachella Valley and the state of California. Select a community to the right of the chart to see how the size of its immigrant population compares to Mecca. Just 14% of Mecca's immigrants are citizens, a relatively low rate compared to many other communities in the Coachella Valley. 28% of Mecca's population has a high school degree or higher, considerably lower than the average high school graduation rate (which includes equivalency) across the Coachella Valley (79%), California (82%) and the nation (87%). Just 1% of Mecca's population has a bachelor's degree or higher. Select a community to the right of the chart to see how graduation rates compare to Mecca. The California Office of Environmental Health Hazard Assessment (OEHHA) does not provide environmental data at the community level. The information below on environmental conditions in Mecca is based on data for the census tract containing the community. The California OEHHA created an index measuring the average annual concentration of 13 common water contaminants in water systems to measure drinking water quality. The area containing Mecca has an index score of 729.32, significantly higher than the averages for the Coachella Valley (520.66) and California (472.37) - indicating worse water quality in Mecca than these other geographies. These numbers were measured as an average from 2005 to 2013. Pesticides are chemicals used to control insects, weeds, and diseases carried by plants and animals. Exposure to pesticides can cause short and long-term health problems, and the California OEHHA reports that people living in agricultural areas have higher levels of pesticides in their bodies than those living in other areas. The California OEHHA measures the pounds of active ingredients in 70 different pesticides per square mile. The area containing Mecca (which also includes many of the agricultural fields surrounding the community) had 92 pounds of active pesticides in the air, nearly 4 times the Coachella Valley average of 21. The numbers were measured as an average from 2012 to 2014. There are 2,153 housing units in Mecca, making up less than 1% of the total housing units in Coachella Valley cities and places (223,491 units). 48% of renter households in Mecca were rent burdened as of 2016 estimates, meaning they paid more than 30% of their income on rent and utilities. This is slightly below the average rate for the Coachella Valley (55%) and California (54%). The overcrowding rate (defined as the percentage of households with more than one person per one room of their housing unit) in Mecca has increased more than 10% over the most recent group of 5-year estimates to 27% in 2016. Select a community to the right of the graph to see how overcrowding rates compare to Mecca. 47% of households in Mecca are homeowners, below average for the state, nation and Coachella Valley.  Select a community to the right of the graph to see how homeownership rates compare to Mecca. 44% of the households in Mecca are limited-English speaking households, meaning that no one over the age of 14 reports speaking English "very well". This is high compared to the average across other Coachella Valley cities and places where 11% of households are limited-English speaking. 29% of the population in Mecca does not have health insurance coverage. This is above average compared to the rate of uninsured population for California (13%) and across the Coachella Valley (17%). Mecca has 1 healthcare institution, a low number compared to the number of institutions in other cities, such as Palm Springs (245) and Rancho Mirage (147). Sources Notes: All data in this community profile come from the 2016 5-year estimates of the American Community Survey with the exception of Healthcare Institutions which come from the 2018 Reference USA Business Database and water quality and pesticides which came from the CalEnviroScreen 3.0.